find solutions for any kind of mortgage need. We will be happy to provide prompt, professional advice with no obligations. 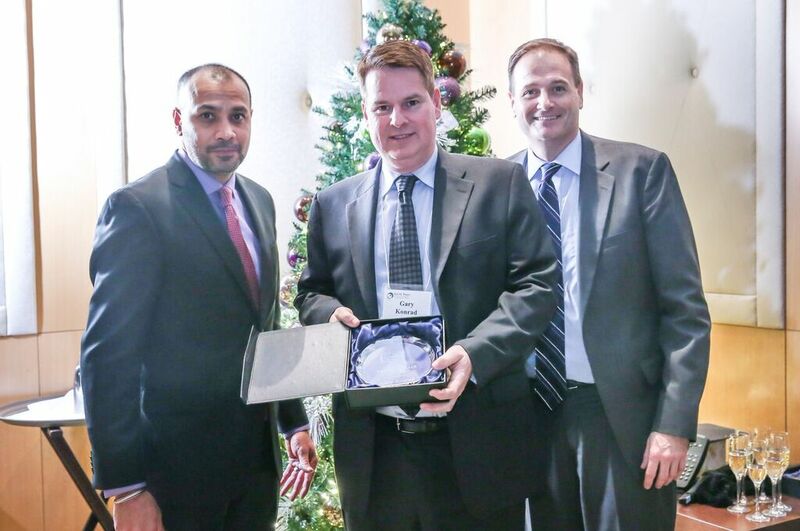 Recipient of the 2015 DLC-A Better Way Professional’s Award. and solutions until we fully understand your specific situation and circumstances. be done and what comes next. We carefully walk through the mortgage documents before anything is signed. Gary was very knowledgeable in answering all our questions regarding moving our mortgage to another institution. He's professional but also very easy to deal with. We would definitely deal with him again and HIGHLY recommend Konrad Mortgage Advisory Group. When deciding on buying a second piece of property, I turned to Gary Konrad as I know he gives me the right information every time. Gary is always looking out for my best interest to get me the best financing available and I would highly recommend him as I do all the time. I am a Vancouver-based realtor who has been working with Gary at Konrad Mortgage for 2 years-both for my own mortgage and for referrals of my clients. He works hard to get quick approvals and has even got approvals at very good rates when the banks had already said no. He will do everything possible to get the mortgage approved and is good at explaining the mortgage process to first time buyers. Gary went above and beyond for me in getting me a great rate and finding the best mortgage to suit my personal circumstances and needs. His super positive, solution-focused approach made my first time home purchase, a terrific experience. I felt completely taken care of. Gary clearly knows all the ins and outs. He always made me feel like I was a priority and showed exceptional patience in answering all of my questions and concerns. I would not hesitate to recommend his services to anyone looking for a mortgage. As a first time buyer, I was quite anxious about getting a mortgage so it was a great relief to have Gary to help me through the whole process and to answer my numerous questions. If I ever decide to sell or buy another property, I will definitely turn to Gary again for mortgage advice, and I would be happy to recommend him to others. Not only is he very patient and courteous, he is also very efficient and always available with advice and reassurance. Exceptional service means many things: answering your calls after office hours; following through on promises; anticipating questions and issues before they come up; working as a team with your realtor, appraiser, and lawyer to ensure that your mortgage closes. Visit our Learning Centre to learn more about various types of mortgages, costs associated with mortgages and much more. Konrad Mortgage Advisory Group Corp.